Automation and transportation have come together in the air in the form of drones. On land, many tech companies and automakers are working on self-driving cars. Although we don’t hear quite as much about is the application of the technology to transport over water, we may see it become a reality within just a few years. There are those working on achieving that change. The BBC report referred to an EU-funded project working toward ships that could function without crews. Called Maritime Unmanned Navigation through Intelligence (MUNIN). 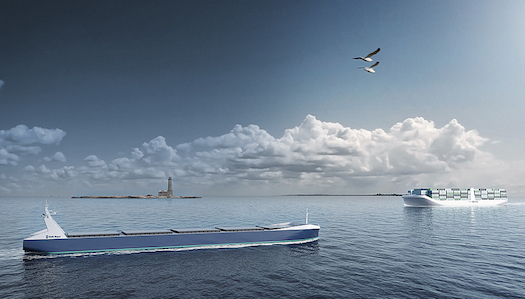 In addition to making it technically feasible, MUNIN aims to work out the necessary changes in legislation to allow autonomous ships to function. It envisions “highly advanced navigation systems” that would analyze conditions toavert accidents. As in the case of some of these sensor systems engineered to enable autonomous functions in cars, the plan is to apply the technology even for ships that are driven by people, as they could “support the officer of the watch.” That in itself could prove very valuable in light of the “human error” blamed for the recent collision of the USS Fitzgerald and a container ship. Progress can be slow, but at least the ball is starting to roll toward reshaping shipping regulations to allow the legal reality to catch up with the technological reality. Though no autonomous ships are carrying cargo yet, Rolls Royce’s Levander asserted at the beginning of this year, “ we expect fully autonomous oceangoing cargo ships to be routinely plying the world’s seas in 10 or 15 years’ time.” In support of that view, Rolls Royce created this video that imagines the short control of the future. Building on automation and remote-operation changes in our land-based supply chain, autonomous vessels offer significant opportunities to improve safety (removing people from dangerous tasks and more data-driven decision-making) and provide better efficiency outcomes to the marine supply chain. Safe and efficient autonomous vessels carrying BHP cargo, powered by BHP gas, is our vision for the future of dry bulk shipping. We believe that future could manifest within a decade. Should the autonomous ships come to fruition, the savings on logistical costs would be enormous. Bloomberg estimates as much as “$86 billion a year” for the larger iron mine players. But even for smaller players, crewless ships offer the same promise of greater efficiency that other automated technologies contribute to processes and transport. Undoubtedly, automated ships can bring about a sea-change in the logistical side of the electronic supply chain. And with the support of legislative change, as well as major players, that change may arrive within the next ten years. 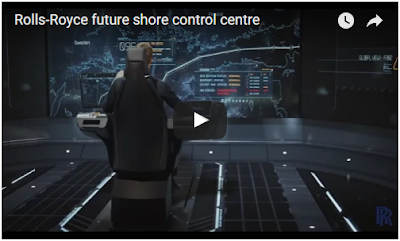 As with most potentially revolutionary developments, the technical challenges related to autonomous and unmanned vessels will be overcome long before the legal and policy issues are. Arguably, there are many vessels currently operating that could be considered "autonomous." Autopilots, and systems that integrate route planning with navigation and control systems are already in wide use. However, there are substantial legal barriers to fully unmanned autonomous vessels, in particular the requirement to maintain a proper look-out in the COLREGS. In the United States, there has yet to be a focused effort to even define the scope of policies, procedures, regulations and laws that would need to be addressed to allow for autonomous unmanned vessels. There are preliminary efforts through the US Committee on the Marine Transportation System (CMTS) to start this scoping effort, but nothing of substance has been completed yet. There are many efforts in the US where small autonomous unmanned "vehicles" are being used to carry our tasks such as surveying that cannot be done easily or safely (e.g., near shoal waters or the surf zone) by traditional manned vessels. There is no doubt that increased use of autonomous and unmanned vessel will happen. However, significant legal, policy, and procedural issues will not only need to be addressed, but must be identified first. Copyright 2017 Mississippi Water Resources Association. Simple theme. Theme images by sbayram. Powered by Blogger.